One of the first posts I ever did was actually much older pieces I did just for facebook. I discussed vampire movies before 1935. I touched on the films Vampyr, which to this day is one of my favourites. I didn’t really give it the credit it deserved because I was still new at this. So if you’ll indulge me I give you Vampyr re-visited. This was posted on HM.ca awhile ago but I wanted you guys to have it too. When seeking source material in the early days of horror film, vampires seemed as logical a choice then as they are today. Whether it was Universal’s Dracula or F.W. Murnau’s Nosferatu, vampires have been the subject of many great stories that shock and awe audiences. The mentioned films, of course, are a more obvious and a less obvious interpretation of Bram Stoker’s work. Unfortunately, the problem with movies based off of Bram Stoker’s Dracula is that, no matter what, it has been interpreted and re-interpreted so many times that it’s hard to watch them without feeling like you’ve seen it all before. Bram Stoker was greatly influenced by Sheridan Le Fanu’s short story, Carmilla. 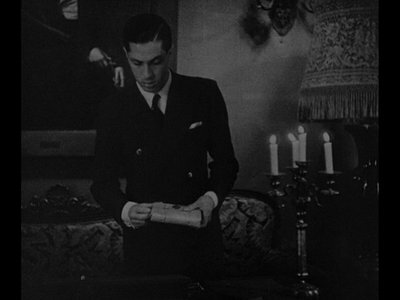 Carmilla would not only influence Stoker, but also inspire a number of films such as 1932’s German film, Vampyr. 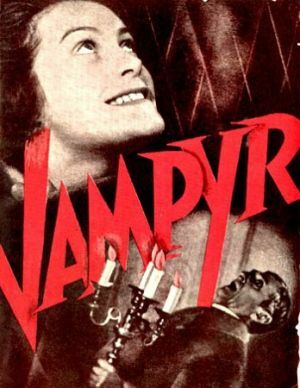 Vampyr was directed by Carl Dryer who also co-wrote the script with Christen Jul and, while they do borrow from Le Fanu’s work, it’s largely an original story. The film stars Nicolas de Gunzburg who also co-produced the film and provided its main source of income. The rest of the cast (due to cost) is rounded out by unknowns or others who weren’t professional actors. The story revolves around Allan Gray (Gunzburg) who is a paranormal researcher that wanders around the countryside studying things related to the occult. His travels take him to the village of Countempierre which is cursed by a vampire named Marguerite Chopin. Marguerite has been a plague on the village for a long time now, having taken control of most of the villagers who now act as her minions. The leader of these underlings is the town doctor who does most of Marguerite’s dirty work. The vampire has targeted a lone Chateau in the village that is run by an old lord with his two young daughters, Léon and Giséle. During Gray’s stay at this creepy hotel, which seems to be the bastion of the vampire and her servants, the old lord of the manor comes to him in the night and begs for his help, but then quickly leaves. Gray follows the vampire’s minions and witnesses them shoot the old man in the back. It soon becomes pretty clear that, while the people in the manor are aware that something is going on, only the lord seemed to know it was the curse of a vampire. When he visited Gray in the night, he left behind a book that was to be opened upon his death, a book that tells the story of Vampires and Marguerite Chopin. In this world, vampires are servants of the devil that prey on children and young adults. Once bitten, they are cursed and will be driven to kill themselves so that their souls will go to the devil and, though Allan wants to help them, none seem to have much drive to do anything. The eldest daughter, Léon, is eventually taken over by Marguerite’s spell and is bitten, opening her up to the evil of the curse. In probably one of the creepiest scenes in the entire movie, she grins manically and looks about the room. Her younger sister Giséle and even Allan seem totally aloof through the entire film, just blankly walking from one scene to the next, unable to figure out what to do. It’s not until the lord’s head servant reads the book that he discovers the curse can be ended if they find Marguerite Chopin’s grave and drive an iron stake (yeah iron none of that wood crap) into her heart. Eventually the servant locates the grave and ,with Allan`s help (and by help I mean he moves some wood planks that are handed to him), they put an end to the curse once and for all. After the spell is broken, the bulk of the villagers and Léon are freed from the vampires spell. The worst of the henchman, though, are taken out by the spirit of the old lord of the manor in probably the most confusing death scene I’ve ever seen. 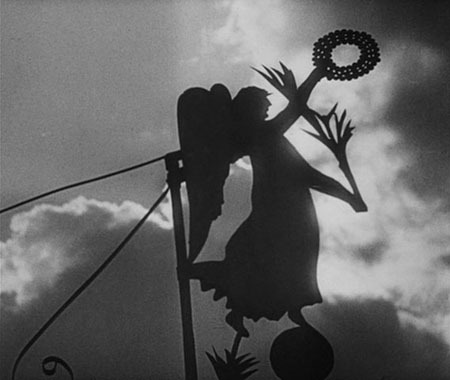 Seriously, the evil doctor is chased into a flour mill by the superimposed face of the deceased lord, causing him to get smothered and die in the flour. Sounds like a pretty straight forward plot doesn’t it? Let me tell you, Dryer was well known as an eccentric filmmaker and it shows throughout this entire movie from the strange collection of characters that pass from one scene into the next. Through shots of the farmers digging in reverse, disembodied shadows acting on their own along walls, and the purposeful blurring of the camera lens, Dryer relentlessly tries to disorient you. Allan is supposed to be someone lost in his own world and whose reality blurs with fantasy, something Dryer conveys through many different scenes that are, without a doubt, the most confusing but brilliant moments of the film. 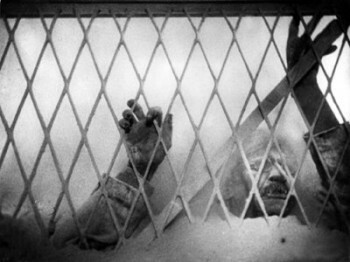 One scene, in particular, was taken from Allan’s point of view in which he is locked in a casket with a convenient viewing window and carried off. When watching it for the first time, I remember not understanding if what I was seeing was real or something that Allan was just imagining. And that’s the point! To leave the audience uncertain, even confused… and it works! By the time the film ends, you aren’t really sure if what you just watched was supposed to be accepted as real or not. Since this was Dryer’s first sound picture, there are strong indications of his background in silent movies. It showcases fantastic shadow use and minimal dialogue, but that was really more about the cost of sound editing. Ultimately, though, it serves to enhance the bizarre dreamlike mood of the entire film. Anyone who is curious should absolutely check this movie out. I will, however, warn that you should go into it understanding that you will probably be confused and maybe even frustrated at times. But really, with a 73 minute runtime you can’t go wrong. I’ll see you next time and thanks for reading! Now to see what all the fuss is about this "Twilight"